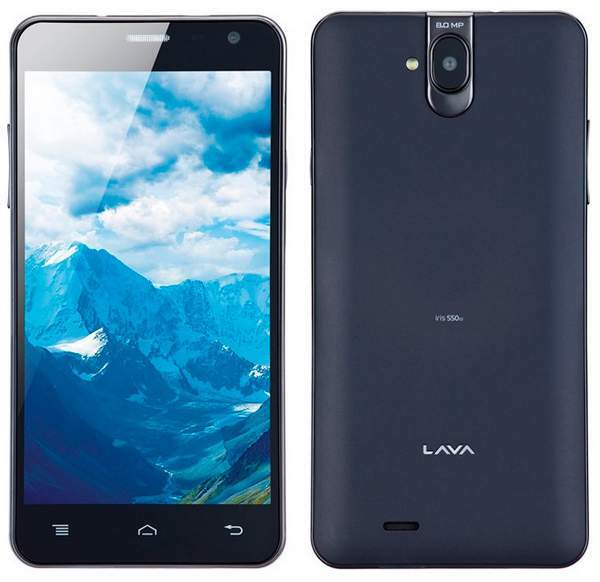 Lava Iris 550Q has been officially launched at the price of INR 13000. The Lava Iris 550Q is successor to the popular Lava Iris 504Q which was launched last year ( review and Unboxing ) . It comes with some nice specifications but not the best at this price. The Iris 550 runs Android 4.2 Jelly bean OS and comes with a 5.5 inch 720p HD IPS display based on OGS tech. It has 3mm narrow bezel and comes with 8-megapixel primary shooter with LED flash & BSI sensor. The Lava Iris 550Q is priced at RS 13,000 and is available in Black color. The company is also offering Free Flip cover to please customers.